L-carnitine is an amino acid derivative and a primary constituent of striated muscle and liver. The compound plays an important role in fatty acid metabolism. According to the open chemistry database Pub Chem, L-carnitine facilitates the entry of long-chain fatty acid into the cells’ mitrochondria to deliver substrate for oxidation and energy production. These fatty acids are then used as an energy substrate in all the tissues across the body except the brain. The body can produce L-carnitine from amino acids methionine and lysine. The body also requires an ample amount of vitamin C to produce sufficient L-carnitine levels. Lean meat — such as beef and low-fat pork — poultry and fish are excellent sources of L-carnitine. Mushrooms, dairy products, and nuts are also rich in this beneficial compound. L-carnitine is best known for its beneficial effects on body weight. Previous studies have shown that the compound helps improve exercise endurance and facilitates fat metabolism and its conversion into energy. Previous studies have shown that the nutrient inhibits lactic acid production during exercise, accelerates healing from workout-related stress, and mitigates cell damage and death. Likewise, the nutrient is known to bolster the body’s exercise performance and promote muscle health following a workout. L-carnitine is shown to facilitate muscle oxygen supply and increase blood flow and nitric oxide production, which in turn reduces fatigue. 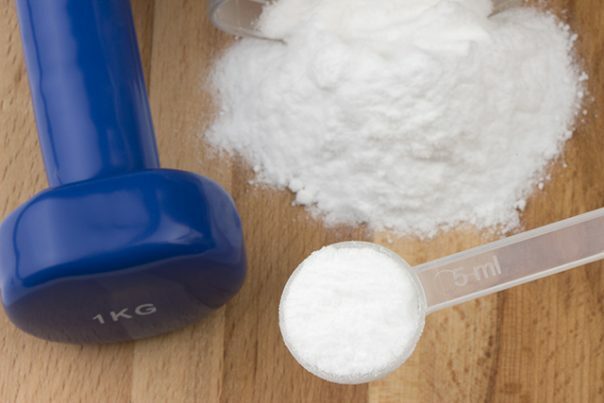 The compound is also touted to increase red blood cell production and prevent muscle soreness. L-carnitine is touted to improve brain health as well. A Health Line article notes that taking dietary L-carnitine daily may help reverse brain function decline in patients with Alzheimer’s disease and other cognitive conditions. Likewise, the nutrient is found to provide similar benefits to elderly people who did not have the conditions. According to the article, the compound may also protect the brain from alcohol-induced damage. The nutrient is known to stave off depression and improve the overall mood as well. The nutrient is also known to promote heart health and lower the odds of developing various cardiovascular diseases. A previous study has shown that daily L-carnitine intake helps reduce systolic blood pressure by nearly 10 points. In another study, L-carnitine supplementation was associated with marked improvements in severe cardiovascular disorders such as coronary heart disease and chronic heart failure. The nutrient is found to slash heart failure and subsequent deaths in patients in yet another study. The compound is touted to improve diabetes markers as well. According to a Self Hacked article, L-carnitine helps improve blood sugar response to a diet rich in carbohydrates. The nutrient is known to stave off diabetes by increasing the levels of a key enzyme that facilitates the body’s use of carbohydrates. L-carnitine’s weight loss effects are particularly beneficial to both the digestive and the cardiovascular system. Likewise, the nutrient boosts the body’s overall blood circulation and improves both muscle and brain health. The compound also supports bone health, kidney and thyroid functions and male reproductive health. L-carnitine prevents cell damage, diabetes, Alzheimer’s disease, and other cognitive diseases. L-carnitine inhibits stress, muscle stress, coronary heart disease, and chronic heart failure. L-carnitine improves weight loss and overall digestive and cardiovascular profiles. L-carnitine supports blood circulation and boosts both muscle and brain health. L-carnitine bolsters bone health, kidney and thyroid functions, and male reproductive health.